Alexis Sanchez has reportedly been impressing his fellow teammates in training lately. It has been a year since the Chilean international swapped places with Henrikh Mkhitaryan to secure a mega move to Manchester United. However, things haven’t quite worked according to plan for the 30-year-old, who has remained inconsistent – be it due to injuries, off-the-pitch issues, or tactics deployed by the former manager. But the entire mood surrounding the Old Trafford club has changed since the arrival of Ole Gunnar Solskjaer, with several players drastically improving their displays as well. The same is being expected from Alexis, and he may just deliver in the weeks to come. According to Manchester Evening News journalist Ciaran Kelly, Sanchez has been hugely impressive in training lately, wowing his fellow teammates with his superb free-kicks as well as the work he’s been putting up in the gym. This update arrives as a great time as well, considering Manchester United will be visiting the Emirates this weekend for a high-intensity FA Cup clash against Arsenal. 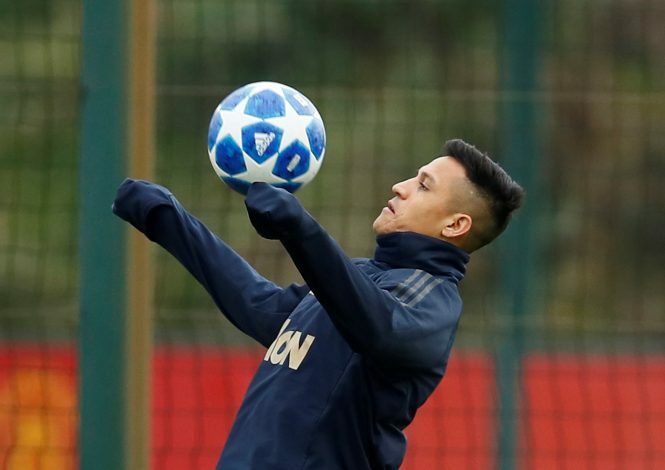 Sanchez is expected to a part of the traveling squad to London, and help his side bag 8 wins in 8 under their new interim boss in what will be the forward’s first return to his former chomping grounds. The United number 7 has been full of praise for the impact made by Solskjaer, having recently stated: “In the end, results in football make the difference and so we are happier than we were before.